Shell has been working with start-up, Bio-bean, to help power London buses with biofuel made from the city's used coffee grounds. On average, Londoners drink 2.3 cups of coffee a day and the capital produces more than 200,000 tonnes of coffee waste a year. This represents an opportunity as well as a solution. 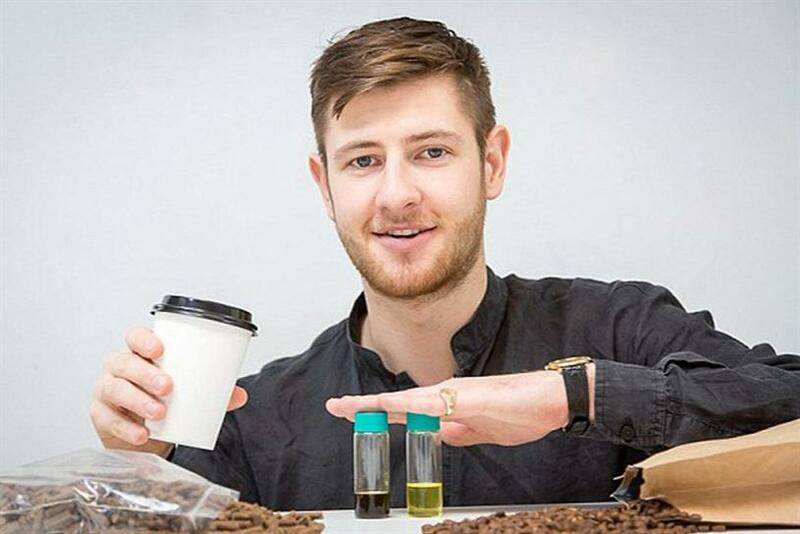 Co-founded by Arthur Kay, Bio-bean recycles that coffee waste, about 50,000 tonnes a year, and produces carbon-neutral biomass products from it. Shell has been working with the company to turn coffee waste, collected from factories, coffee shops and offices, into sustainable, B20 biodiesel fuel. "In supporting visionary companies such as Bio-bean we are easing the transition to more sustainable energies. We welcome anyone with a bright idea to help us make the future through initiatives such as our Shell LiveWIRE programme," Malena Cutuli, group head of integrated brand communications & capability, commented. Due to Shell's work with Bio-bean, the start-up now holds a direct relationship with Argent Energy – which supplies Transport for London bus operators. In 2013, Bio-bean was a finalist for the Shell LiveWIRE young entrepreneur of the year and was then awarded the 2013 Innovation award. The £5,000 prize money went straight back into the company for research and marketing. Encouraged by its success, Bio-bean entered the Shell Springboard programme for low-carbon SMEs. Shell’s support has enabled Bio-bean's engineers and scientists to work in partnership with Argent Energy to produce coffee-derived biofuel on a significant scale, for the first time creating enough B20 to help power some of London’s buses. This investment is the latest phase of Shell's ongoing #makethefuture initiative, which supports entrepreneurs that create energy innovations aimed at helping communities around the world. To promote its partnership with the start-up, Shell has launched an integrated campaign that spans PR, digital, retail POS and outdoor advertising lead by J. Walter Thompson, London (JWT). Mediacom is managing media planning and buying, while Hill + Knowlton is handling global communications and PR. "We first presented this idea to our clients two years ago, but as always with world-first ideas, they take so long to execute," Jonathan Terry, head of JWT Live, said. "What made this one difficult is the regulation, getting the fuel certified as well as getting it into actual London buses. What makes it all worth it though, is the fact this is a real fuel solution and a great example of how cities should be working." It's important to note that this is not a stunt, one-off execution, he added. "What’s great here is that this is a long-term answer."